This gorgeous purple nail colour design is gorgeous in its own way. The white and black print on it makes the overall look stunning and eye catchy. This awe inspiring design helps your beautiful hand to grab some attention making it visually pleasurable. White rules the world of fashion. 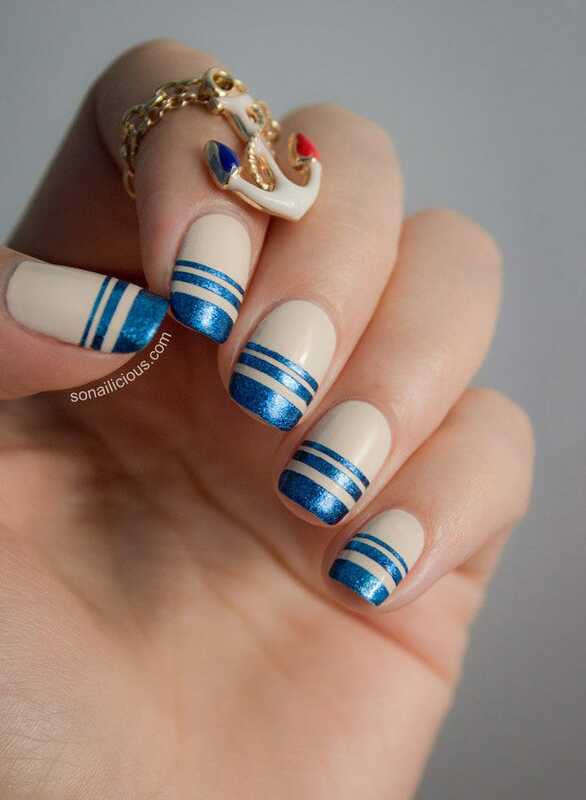 This white based nail art design is trendy and glamorous. The design makes it look sober and fetches some better attention. 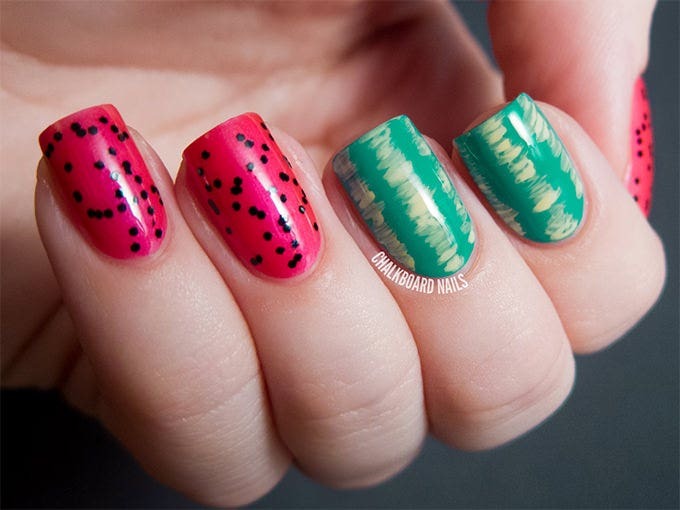 The best part about this nail art is that it goes well with any kind of outfit irrespective of its colour. 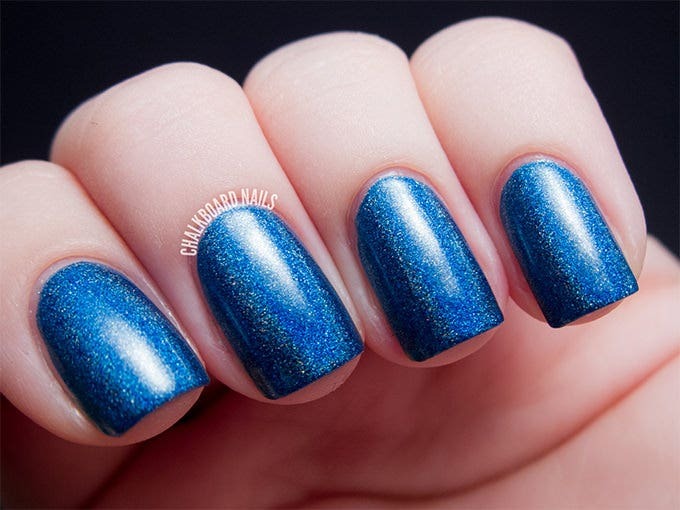 Light shades goes perfectly well with the summer season, and when it’s about nail designs, nothing works well than sky blue colour. It gives a soothing effect and the designs make it alluring and gorgeous. So try it out today and rule the world of glamour. In summer season, light coloured outfit helps you to stay cool. This may end up making your overall look dull and not happening. 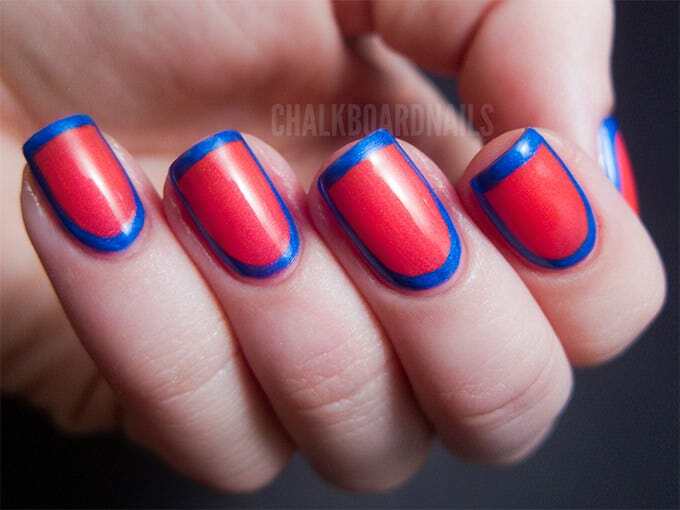 To balance it all, use vibrant colour nail paint with this super easy design which rescues you from looking monotonous and gloomy. 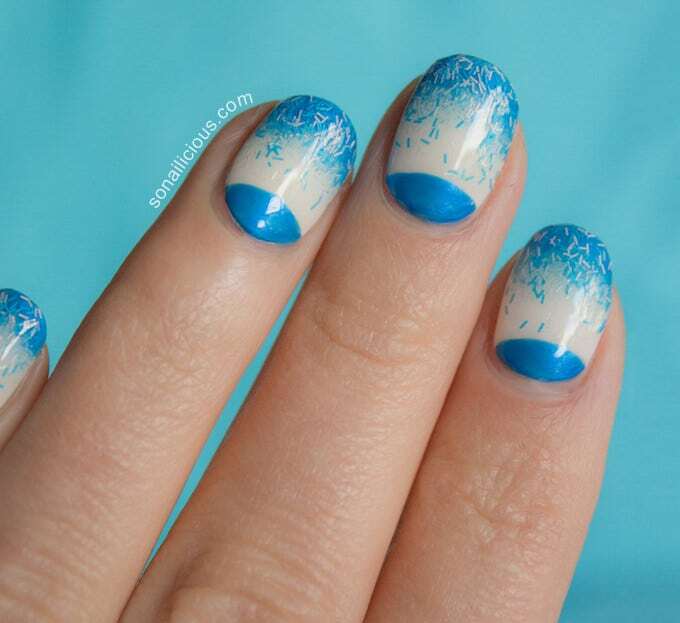 This sky blue colour based nail design is apt for summer season for its coolness. It’s absolutely striking yet sober. It can be applied irrespective of the occasion because it’s super easy and neat. The design is absolutely out of the box and simple. 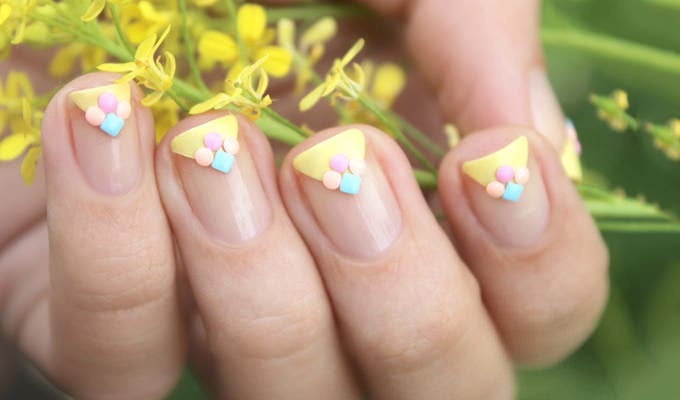 This attractive nail design for summer is the epitome of elegance. It is light shaded, sober yet trendy. The overall design including the colour makes it look sophisticated and eye catchy. 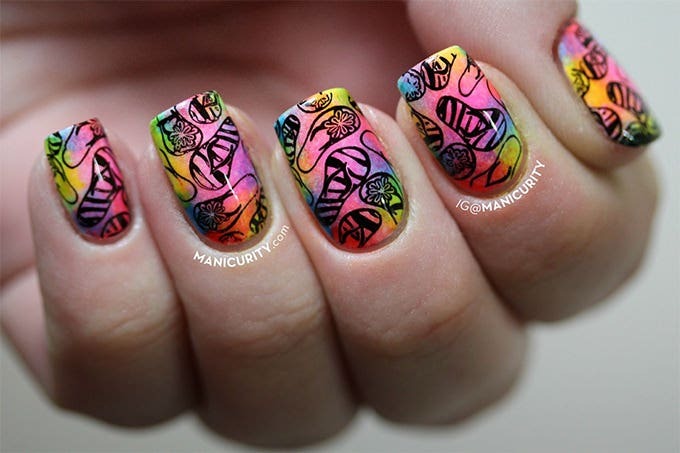 This design is abstract, making the whole idea of nail art design successful. Nothing can be more attractive than neon colours right? 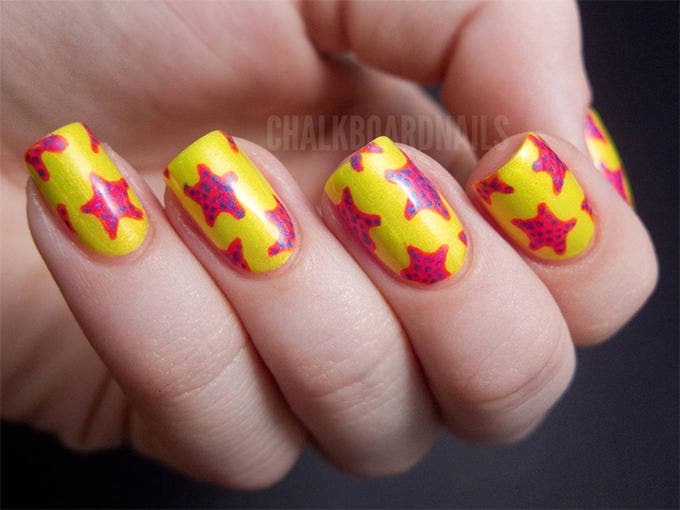 It’s absolutely mind blowing and awesome to do nail art with neon nail paints. 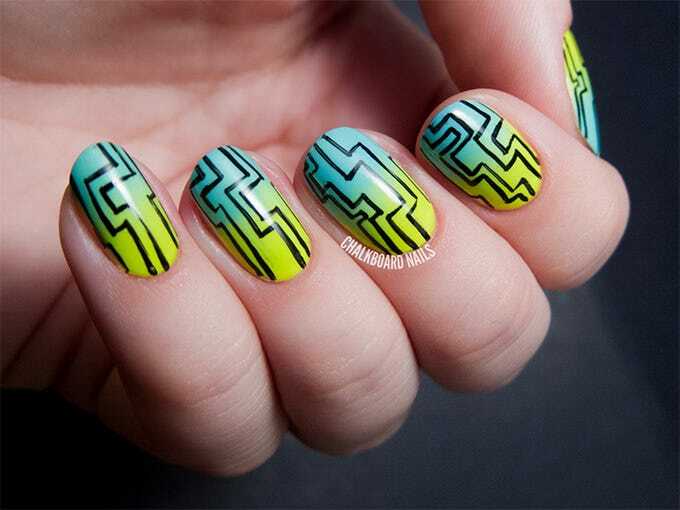 This neon mosaic summer nail design is a perfect blend of art and minimalism. Try it today. 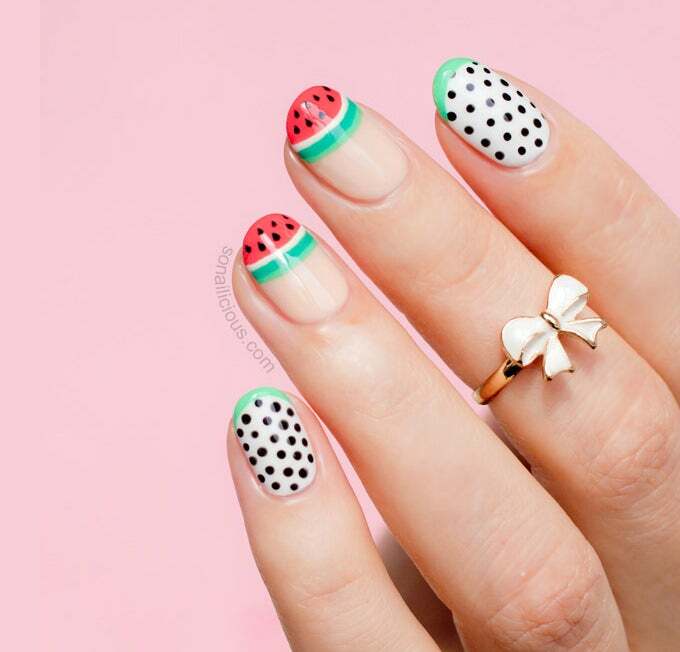 Pink summer nail designs include all the awesomeness of summer. The girlish colour and design makes it look perfect for the cause and it goes really well with summer outfits. The wonderful design is abstract in its own way making the whole thing look lovely. 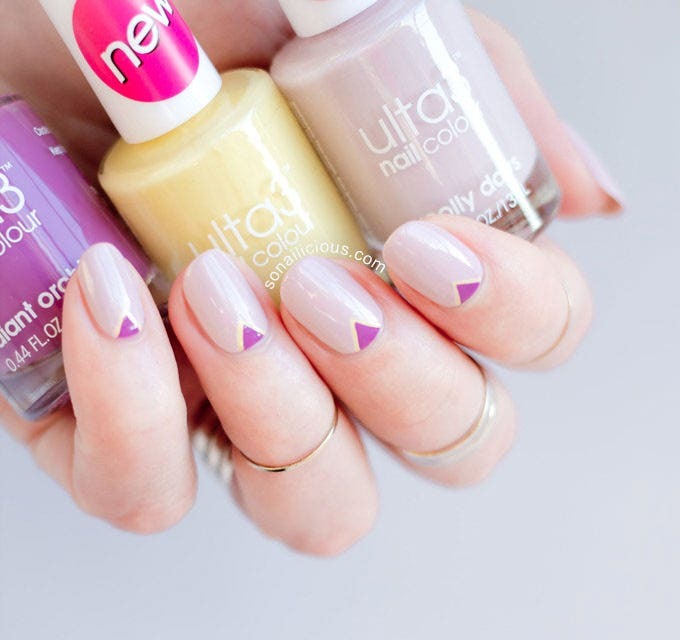 This nail design is super easy and simple. It looks effortless yet stylish and fashionable. 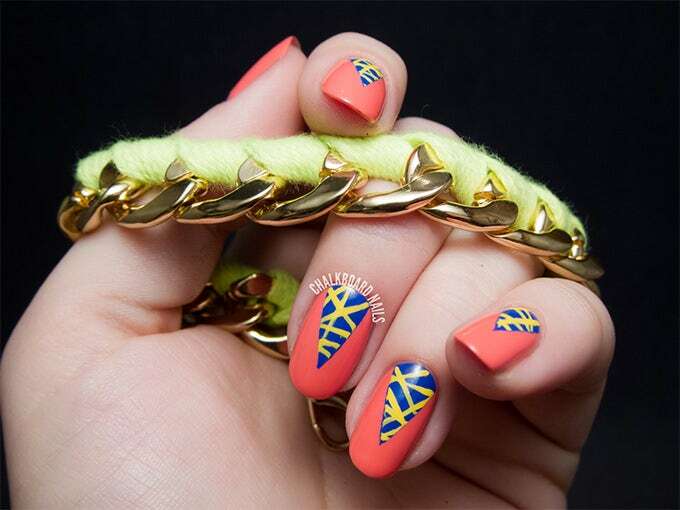 Nail art fashion is all about how well the base colour goes with the design, and this design is winning it all. The blue sparkling lines are gorgeous and trendy, making it look elegant. What depicts summer better than sunny and cloudy sky? 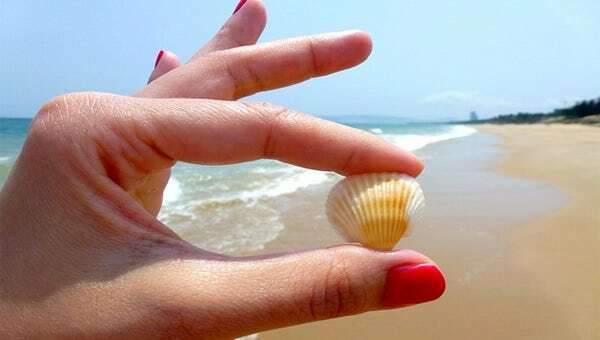 This awesome shellac nail design for summer is the best way to make your summer look complete and compact. 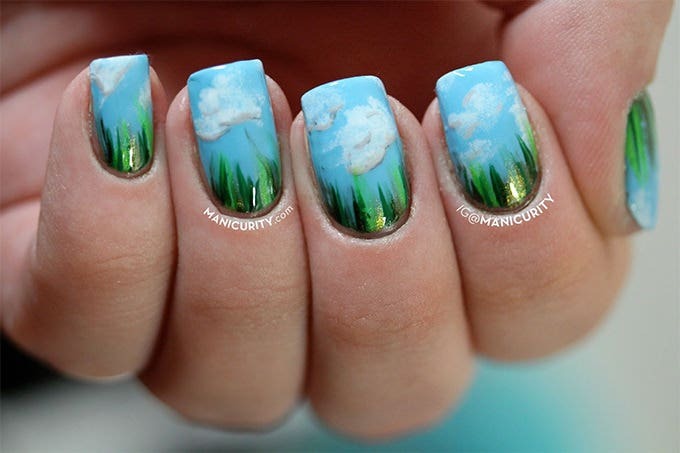 This nail art is fascinating as a number of elements are there to attract the crowd. It’s something which goes well with all kind of summer outfits. 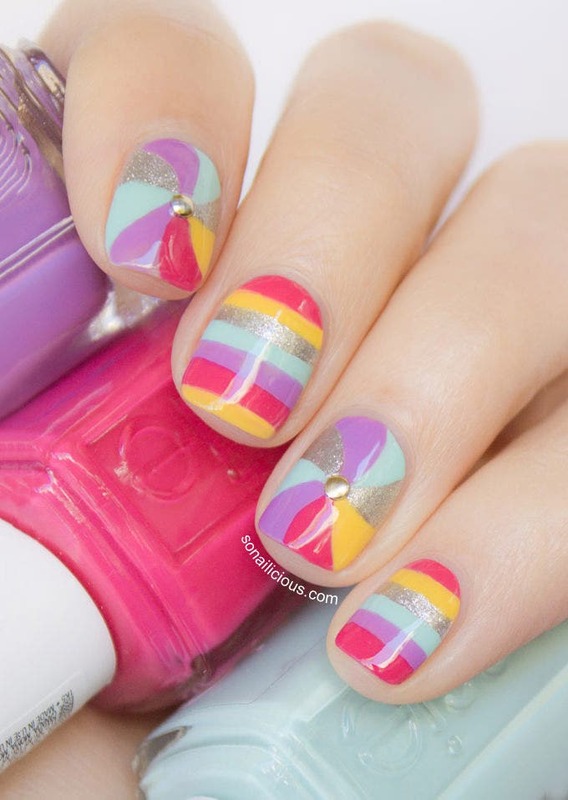 Nail design should always be minimalistic and eye catchy. 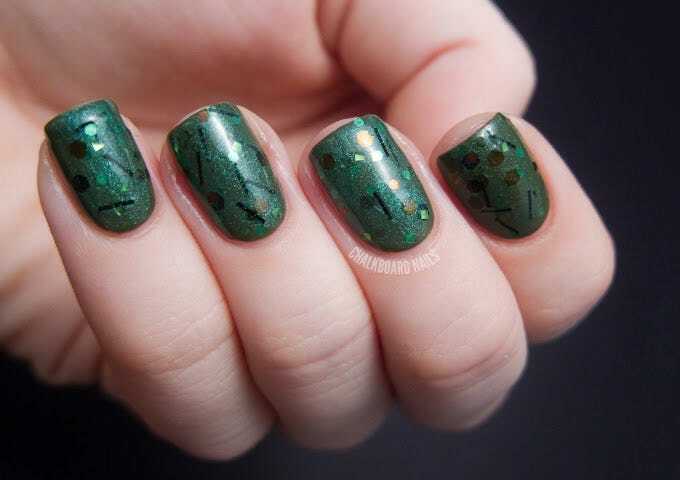 Summer nail designs are mainly on lighter shaded base but this bottle green nail paint wins it all. This design looks classy and fabulous. The neat and simple look makes it different and trendy. Red colour has its own way of winning hearts and when it’s about summer, well it saves the design from being dull and boring. 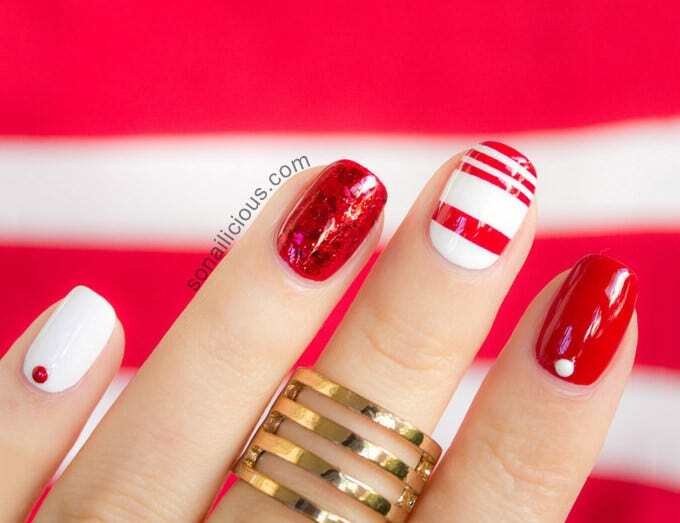 The colour combination of white and red is contrasting which makes it look even more attractive and cute. 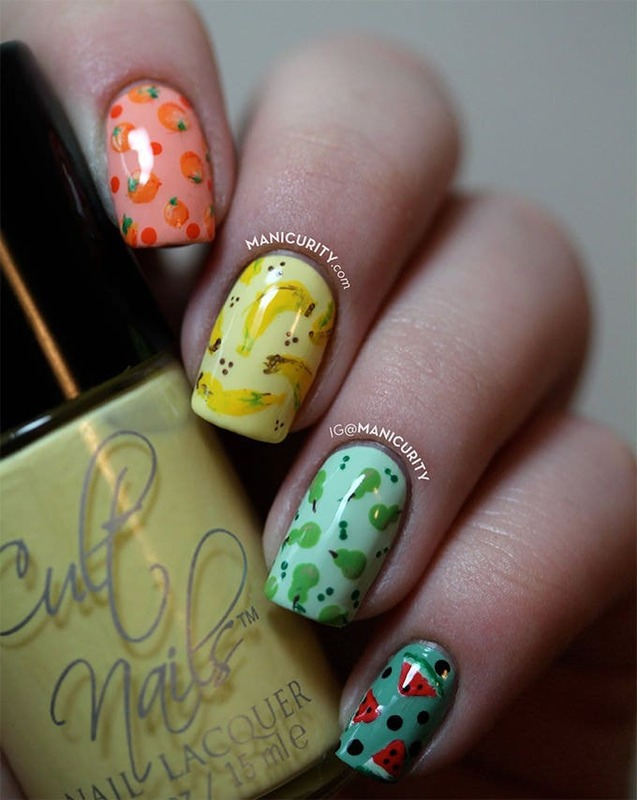 Nail art looks much more alluring when multiple colours are used. 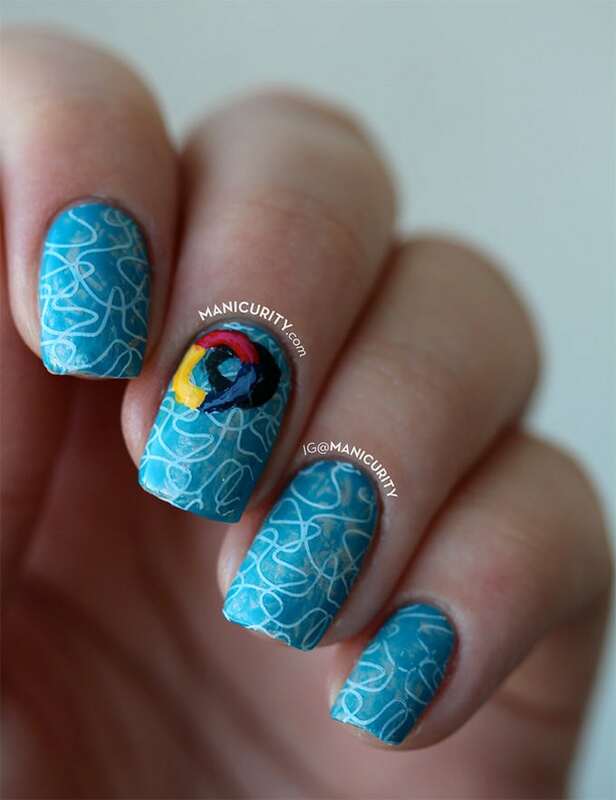 Multiple colour nail art is another good idea if you’re worried about how it’s going to match with each and every summer outfits you try. The glittery shade makes it look absolutely glamorous and fashionable. 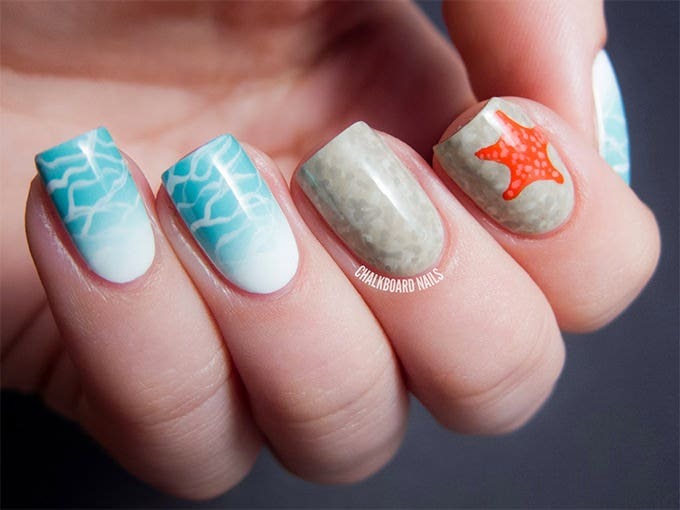 The summer acrylic nail design is the key to make you look all set for the summer season. The contrasting bright colour makes the base look dazzling. The abstract design with black above it makes it super trendy and chic. Try it out today. Light shaded glitters make any design look a bit more fascinating. 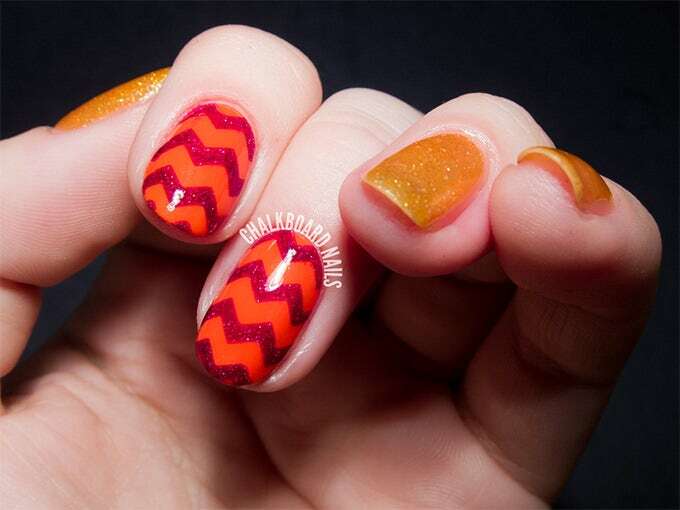 The new trend of applying different design on different nail is nothing to get worried about, as this awesome nail design is here to the rescue. 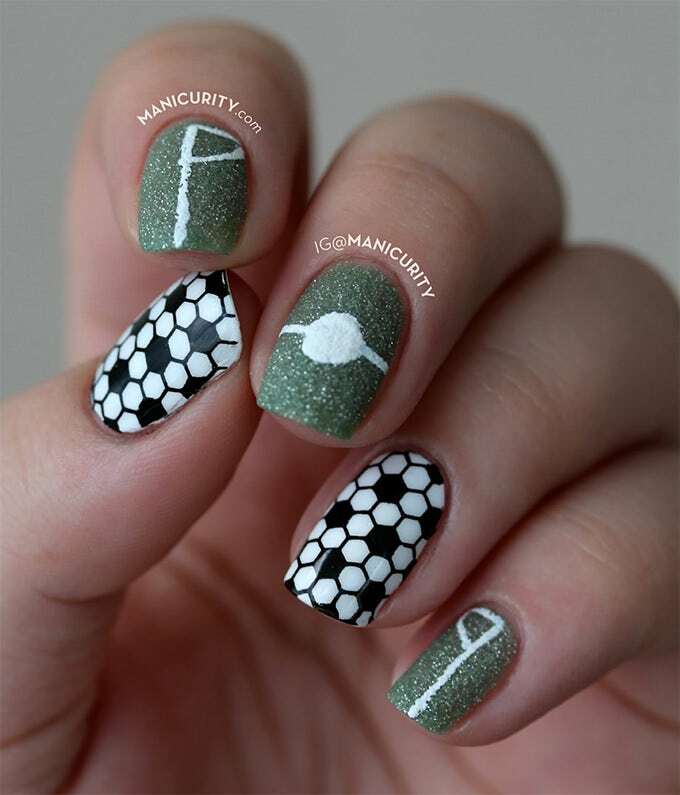 This football-like design makes it look abstract, while the plain glitter paint makes the overall look charming. Use neon shades to complement that playful summer look. Pick your favourite colour, be it yellow, orange, pink or blue and use a neon version of it to make sure that your nails stand out both in the day and for an evening out. 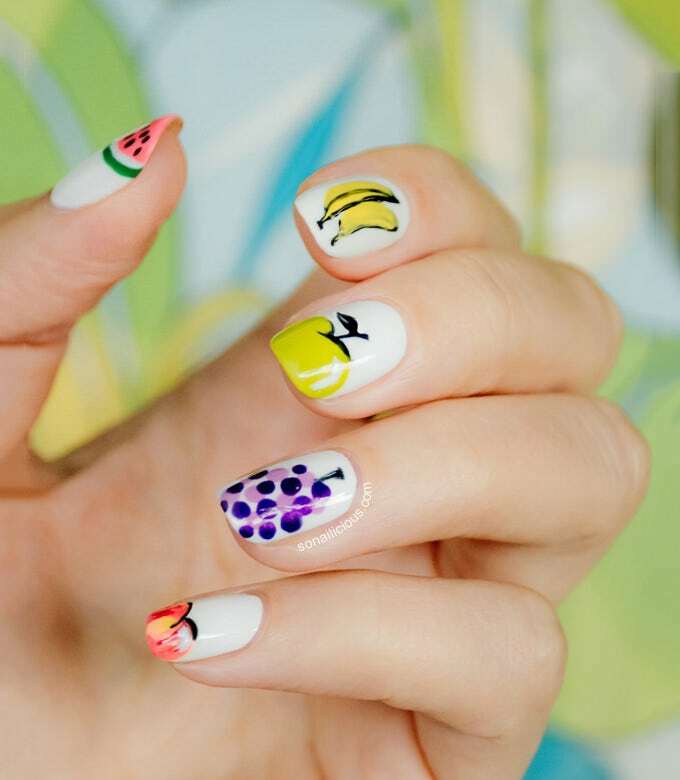 Summer comes hand in hand with Awesome and Cool floral Nail Designs. To go with monochrome light summer dresses pick a stand out colour and get creative with floral designs. Use lighter shades or simple white to draw on more signature darker base polishes. This summer don’t go light on the bling. Make us of the ample sunshine to dazzle everyone with a touch of glitter or an addition of tiny stones to your nails. 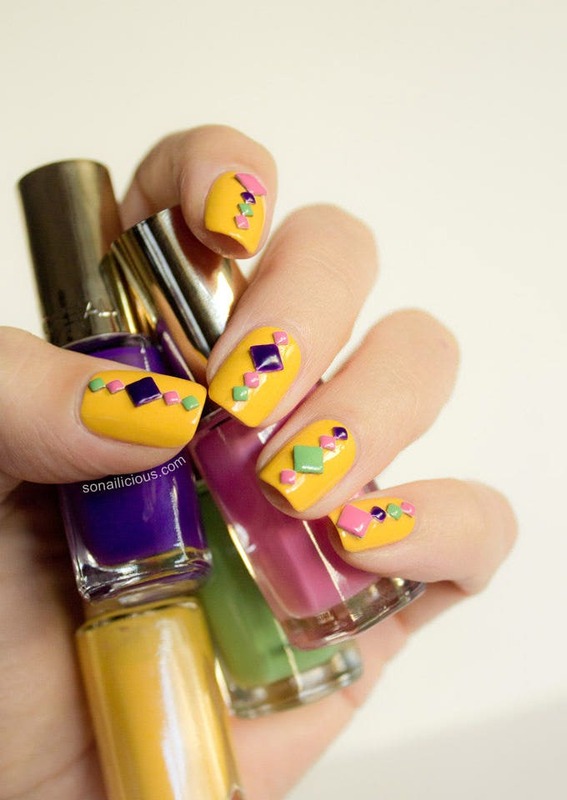 Studs can add an attractive touch to almost any summer design or colour of nail polish.